I love to make 2-tiered cake, especially novelty cake for children. 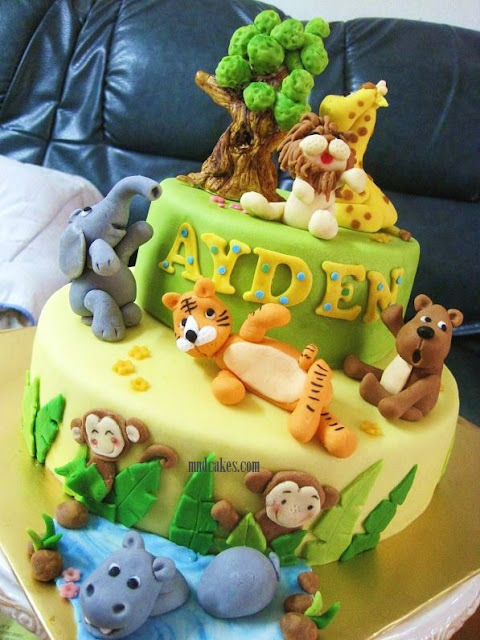 This jungle themed birthday cake for Ayden is a good example. Since the 'Jungle Book' cupcakes that I made last year, I've been waiting for an opportunity to make them in 3D form and cake version. So, hehe....my wish is granted. 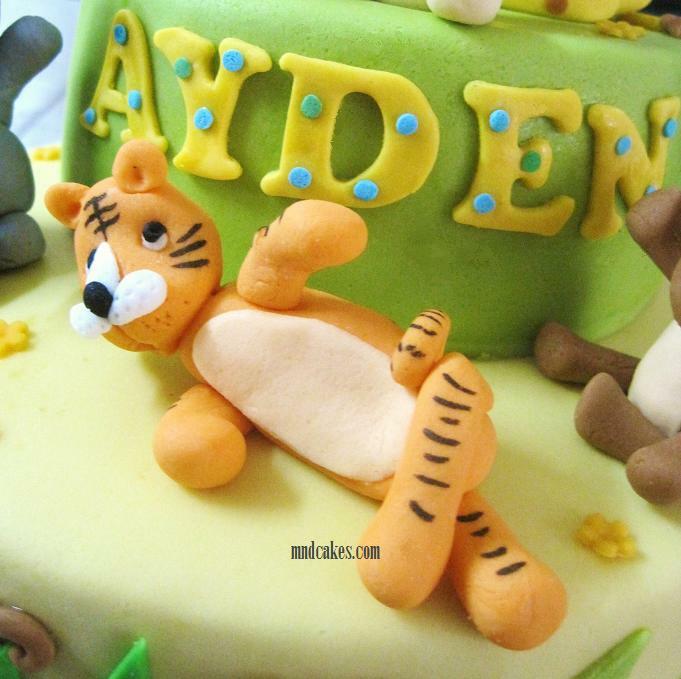 The tiger, not Tigger, but as thin. I should have fed him more. 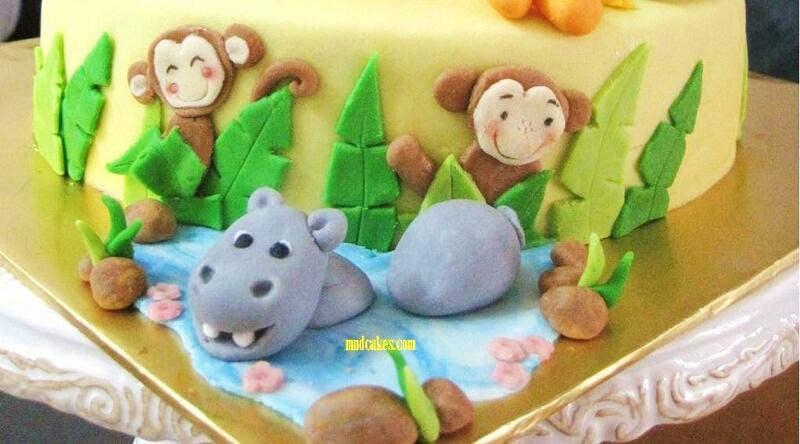 The hippo and friends , two monkeys hiding in the bushes. King of the jungle, the lion! 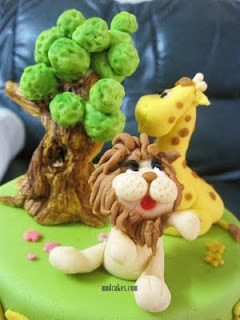 What is the ziraffe doing? Staring at a big old tree that I painstakingly painted with edible dust and gel colour! She's hungry! Happy birthday to the 4-year-old lucky boy! 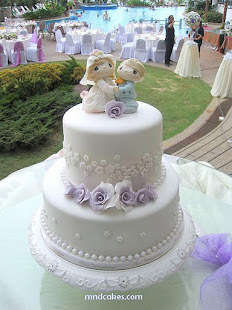 Hope the cake would leave him a wonderful lifetime memory.